With the Smartphone world emerging with new ideas and transformation, the best bet is to move along or you will be mile behind your competitor. It is an inescapable reality that every online buyer is now comfortable shopping or checking out items through their mobile phones rather than taking a look at the mobile website or through desktop. As per the study, around 63% of the crowd enjoys shopping with convenience of their mobile phones and most of the ecommerce businesses have already started devising their own mobile strategy. Magento Mobile App development is excessively in demand and with passing time, more and more ecommerce stores are going mobile. So jump onto the bandwagon and select the best ecommerce mobile solutions for your business. We have few mobile strategies listed down for your ecommerce business. With the advancement of development, ecommerce businesses can develop a website with responsive theme, fitting in any screen size and shape, without having to redo the code separately for each device. The elements of the web can shrink or expand as per the requirement and the best is, you can add responsive functionality to your current design and you don’t have to alter much of anything if you wish, and maintain the current setting. A mobile website is scaled down version of your original website. It is specially tailored for your mobile platform with a separate domain. Eg: m.mydomain.com. Native mobile app development is software, especially designed and tailored for the mobile operating system, written in native language. Every user have to download the app and install the application on their devices before they can interact with your business. So what is your take on the strategies? 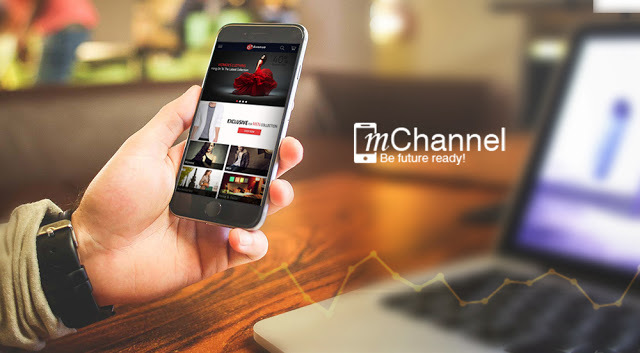 Join hands with mChannel.co and get your latest ecommerce app developed in minutes. We provide you the ultimate app building platform with the finest customizations available at our end. At mChannel, we have the world best developers in hand, with creativity and innovation at its best. Give us an opportunity to assist you with your requirements, and see how we can make a difference in the m-commerce world. Reach us @ +91 87540 26877 or email us at support@mchannel.co and we will help in designing, developing and uploading live. What else are you looking for.